The present building, fruit of a reconstruction of the old mediaeval building, was started in 1771 by Joan Soler Faneca. The Contracts Hall and the Consuls Hall, conserved from the original, are among the most important examples of civil Gothic architecture on two storeys in the Mediterranean. The first building was raised between 1380 and 1387, in the reign of Pere III, by the master-builder Pere Arvey, to house a covered market. In the fifteenth century it served as the offices of the customs agency and the naval consulate. It was also the site of the Stock Exchange and the Fine Arts School of Barcelona, attended by the young Picasso and Joan Miró. 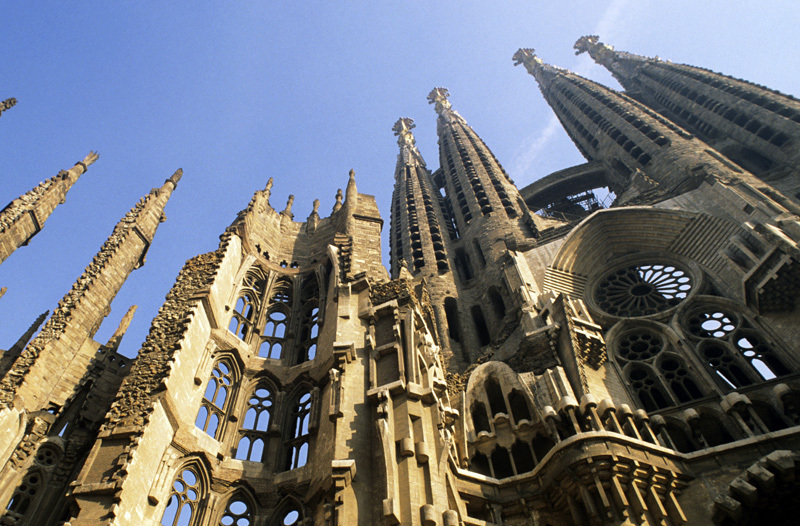 In 1997 the Chamber of Commerce of Barcelona began the works of restoration and refitting to house its offices. Historically, the Llotja de Mar has been the headquarters of the most emblematic institutions of Catalan commerce. The Neoclassical building you see is 22 metres high. Its most outstanding piece of architecture is the Contracts Hall. A jewel of civil Gothic. A spectacular room 14 metres high, with 4 enormous columns and 6 arches supporting a beautiful wooden ceiling. Inside, there is a pretty court-yard in the Neoclassical style with four sculptures representing the four continents. Surrounded by a gallery with arcades. This also contains a spectacular imperial-style staircase, presided over by 2 sculptures that represent commerce and industry. The building has several rooms, all of them very different and each one surprises you with some extraordinary work of art, such as the marble sculptures, an allegory of marriage by Daniel Campeny, in the Golden Hall, or a magnificent painting by Bonaventura Planella on the ceiling of the Sala Lucrècia, alongside some magnificent vases dedicated to Bacchus and Hercules, by Campeny. The Llotja de Mar also has an important collection of neoclassical sculpture. As its visiting hours are restricted, check in advance so as not to miss it.